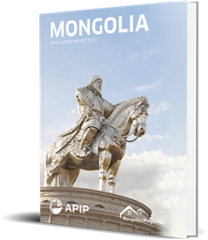 For more Information on Fiscal Policy, the IMF bailout, and other essentials of the Mongolian investment climate, download the most recent Mongolia Real Estate Report by clicking below. Bank of Mongolia’s (BoM) mandate is focused almost entirely on maintaining price stability in the local economy through careful monitoring of local consumer prices and similarly in the external sector, through market-oriented management of the exchange rate. The capital account is open in Mongolia, which means there are no restrictions on the flow of capital in and out of the country. In 2012 the bank successfully introduced a price control program, which brought inflation down below 10% for the first time in nearly three years. However, BoM learned a harsh lesson during the 2009 financial crisis when it tried, unsuccessfully, to intervene in the foreign exchange market. The bank emerged from this ordeal with severely reduced reserves, and BoM’s directors learned not to fight the market head-on and instead intervene on a more subtle and limited scale, as during the 2013 exchange rate spike . The local financial community received a jolt in July 2013 when Savings Bank (anointed the “Best Managed Bank in Mongolia” by The Asian Banker magazine just a few months earlier) announced that it was insolvent and would be taken over by the Mongolian government and restructured. It was later revealed that the bank had made several large failed loans to its parent company, Just Group. Savings Bank was undoubtedly a small outlier case of poor corporate governance, but its failure raised concerns regarding the rest of the banking sector, which witnessed a 40% year-on-year expansion in loan volume during the first half of 2013. Mongol Bank has since taken steps to tighten supervision and increase reserves and there appears to be little systemic risk. Between March 2013 and March 2015, the exchange rate depreciated by 40% against the US$ in response to a large balance of payments deficit. The currency depreciated again 24% between June and November of 2016 and the BOM hiked the policy rate to 15% in August 2016, due to the monetary conditions. In December 2016, it was lowered to 14%. The currency rate movement has been less volatile since then. The RMB15 billion currency swap agreement with People’s Bank of China was signed on February 2017 for three years and due to the refinancing of the US$580 Eurobond, the external liquidity risks have been reduced significantly. 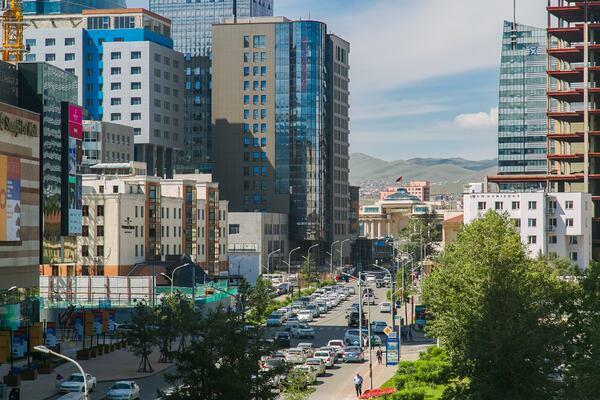 Mortgage provision is a vexed question in Mongolia. In July 2013, the government announced a new subsidized loan policy that reduced the average mortgage interest rate to 8% (from 20%). The initial capital allocation was around $675m, provided by the Chinggis bonds for the policy. The parliament also started discussing whether to decrease the 8% interest rate mortgage to lower rates of 5%. The BOM provided MNT350 billion to the commercial banks. Outstanding policy loans provided by the BOM have reached MNT4 trillion. The mortgage program currently makes up 76% of the total mortgage loan and the remaining 24% is financed by the banks’ own assets. The policy has lowered market-wide rates, effectively increasing disposable income for middle-class families. Housing prices in the lower and middle range of the market have appreciated in response to this policy. The average interest rate for mortgage loans declined dramatically from 16.6% in mid 2013 to the current 11%. The loans in arrears are 1.8% of the total, and non-performing loans (NPLs) are also 1.8% of the total outstanding mortgage loan book as of December 2017. 93,147 borrowers have been reached. 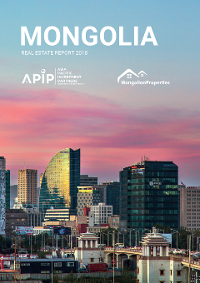 If you're interested in more on the Mongolian economy, investment climate, or real estate market, please download our most recent Mongolia Real Estate Report.